It’s important that we do whatever we can to reduce the impact we have on the planet – we believe everyone should make smart choices about how we use electricity. Every effort you make to reduce your energy use makes a difference, and making smart choices about how you use energy can help you better manage your electricity bill too! When all of our individual efforts are combined, it has a huge impact on the environment – and that’s good for everyone. Using LEDs inside and outside your home is a great way to conserve energy and save money. LEDs use up to 75% less energy than incandescent bulbs. They have a rated life of up to 50,000 hours and they’re available in many different colours and shapes. 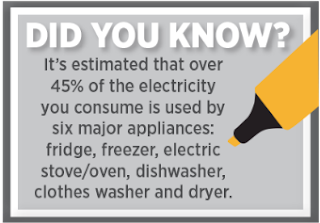 Fridges and freezers are two of the biggest electricity users in your home – old ones are inefficient and can cost over $10 per month in electricity. When purchasing new appliances make sure they have the ENERGY STAR® symbol. This symbol can help you find products that are at the “top of their class” in terms of energy efficiency. automatically. They can help you optimize your energy use and manage your energy bills. You may also be eligible for rebates and other incentives. Air leakage around windows, doors, vents and electrical outlets can account for 25% of your total heating costs. To make your home cozier and more efficient, caulk and weather-strip these areas and install insulated plates on electrical outlets. By increasing the amount of insulation in your home you’ll keep it warmer in the winter – this can help you manage electricity costs. The attic and basement are good places to start, those areas can cause 15% to 30% of your home’s heating loss. Try installing a motion sensor that turns the lights on automatically when someone approaches the house. Motion sensors also turn the lights off after a pre-set period of time. Want to go further? 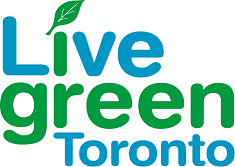 With a low-interest loan from the City of Toronto's Home Energy Loan Program (HELP) you can improve your energy efficiency and save money!